Order Latest IBM System X3250 M5 Server At Cheap Price With Best Features, Great Discounts, 3 Years Seller Warranty, 24/7 Tech Support. 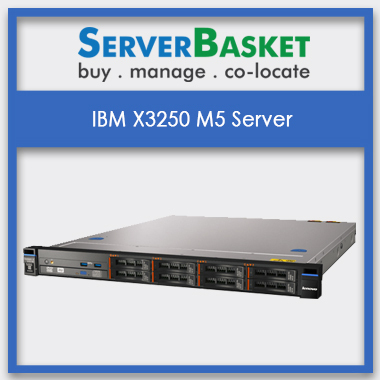 Best online store for Best IBM X3250 M5 server at a low price, great discounts, 3 years seller warranty, Online shopping, credit card, EMI, Instant delivery, 24/7 support, drivers in India. 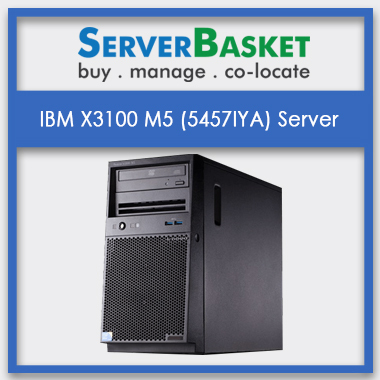 If you are searching for an optimized, expandable server which is affordable for small to mid-size business then buy IBM System X3250 M5 server price. This Lenovo X3250 server has a user-friendly interface on HPE PS1810 series switches allow for a consolidated view of switches and servers in a network. X3250 M5 server is a rack mountable server and has a single process and includes 3.0 PCLe slots grow with 4 (LFF) or 8(SFF). IBM System server also provides 8 DDR4 DIMM 240-pin slots supporting HPE DDR4 Smart Memory and this server has 2 LAN ports. 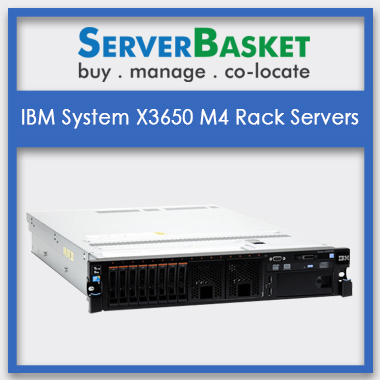 Buy IBM X3250 M5 server at best price for better performance. 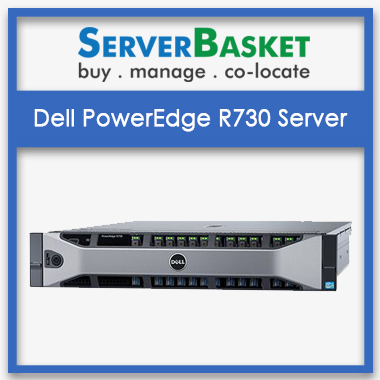 We sell servers online at an affordable price compared to any others in the market. Cheak out variety of IBM series servers models to choose the right required server for your needs. The heavy duty IBM System M5 X3250 is a high-performance server at lowest in price. 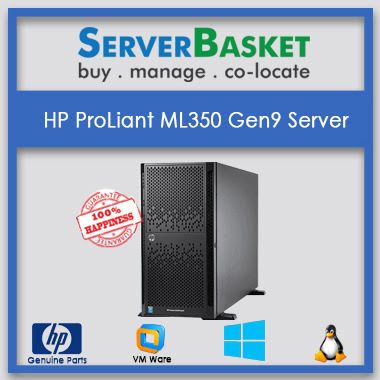 We provide delivery of servers to our customers absolutely for free. we give seller warranty and discounts on all models of IBM series servers. The IBM X3250 M5 rack server supports one Intel-Xenon E3- 1220-v3 processor , where the speed of the processor is around 3.5 GHz. This server IBM M3250 M5 raid controllers has RAID 0, RAID 10 RAID 1 RAID O, Dynamic Smart Array B140i controller for boot and data , data availability with reliable high performance SAS connectivity capable of running HBA mode or simple RAID mode. An overall memory of 32 GB is supported by the server and it support DDR4 memory with the data which is transferred by these servers are faster and secure as the Integrated Light-Out Technology (iLO 4) is used. This IBM X3250 M5 server offers DIMM Slots with support for maximum 32GB of HPE DDR4 smart Memory helping to prevent data loss, potential is the essential aspect when it comes to the selection of the server, not only UDIMMs but it also has 4 DIMM memory slots. It has also got HPE Dynamic Smart Array memory. The storage capability of IBM X3250 M5 server is far-fetched with HPE Dynamic Smart Array BI40i. It has LFF non-ship standard: non-hot plug , It support up to 4 large form factor or 8 small form factor disc drive and interface type : Serial ATA-300 RAID Level: RAID 0,RAID 1,RAID 10. Efficiency and expandability are our IBM system servers highest scalable features. It ensures expanding memory at different levels up to 8 GB. IBM X3250 M5 server has 1×8 GB RAM and existence of PCLE 3.0 slots supporting server’s scalability. There will be 100•/• assured guarantee to provide the best IBM X3250 M5 servers at lowest price comparison with any other dealers in the industry. We provide these offer depending on the model of that particular brand's current market value set by the manufacturer. A seller warranty period of three years is being provided which includes one year guarantee on parts, labor warranty for one more year and the last year for onsite support. Support for the initial and software support is available for 90 days from the date of purchase. Best delivery can be very well expected from us all across the country. We are well known for our online service providence in almost all cities in India such as Hyderabad, Pune, Bangalore, Chennai, Mumbai etc. We provide assured on time shipping before the deadline. 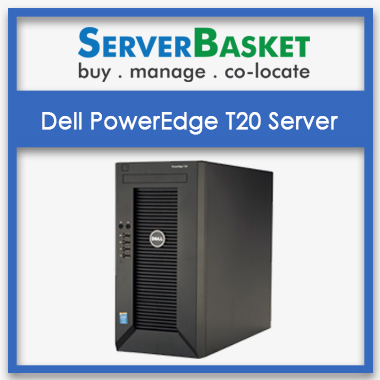 I bought cheap and best server from server basket. Server basket provides the best server at best price. Thanks for providing such a marvellous service. I was facing the problem while connecting to the server. I request call back. The support team of the server basket contact me within a minute. Thanks for providing such a good service. I am facing many problems while connecting to the server, then I contact immediately to the ServerBasket to clarify my issues based on server connectivity .Thanks for providing the immediate response. What is the form factor of IBM X3100 M5 server? What is the default storage supported by the IBM X3100 M5 server? IS IBM X3100 support multiple operating systems? What is the default RAM of IBM X3100 server? What is the RAID configuration recommended for the IBM X3100 server? How many lan ports are available in IBM x3100 server? How many days are required to deliver the IBM X3100 server? With in 2-3 working days IBM x3100 server can be delivered.